CHESTERFIELD — Three senior citizens were recently inducted into Chesterfield’s Senior Volunteer Hall of Fame for contributions they have made to the community since age 60. 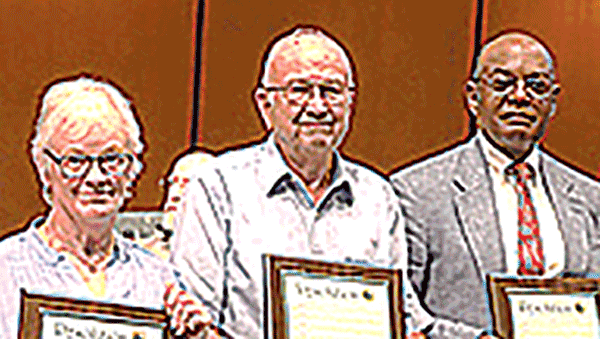 Gretchen Craig, Frank Linkous and Robert Pratt were recognized at the Board of Supervisors June 27 meeting. Craig has been volunteering at J.G. Hening Elementary School since 2014. Her volunteerism at the school began by assisting students in second grade in reading and math, as well as helping kindergarten students adjust to their new surroundings. Her commitment to students in all grade levels has been treasured by the school. For one year during her volunteer work, she not only assisted the students in many areas of need but also offered support to one teacher who was dealing with a health crisis. Craig’s assistance of the students expanded as did her daily support and encouragement to a teacher as she was undergoing medical treatment. She had the keen ability to keep the classroom operating smoothly for the teacher and substitutes by assisting them in any job that needed to be done. Craig was involved in a couple of political campaigns over the past three years. She has volunteered 7,160 hours since age 60, and has been a resident of Chesterfield for 12 years. Linkous began volunteering in 1995 at the Daily Bread Food Pantry. He has driven countless miles to collect donated food items and then deliver them to the food pantry. His leadership skills have been instrumental in organizing other volunteers. Operating five days per week, and serving up to 10 families per day, the food bank has grown into the success story it is today because of his dedication. Over the past 15 years, Linkous has also volunteered with the Chesterfield-Colonial Heights Department of Social Services as lead volunteer and organizer for the Thanksgiving program, serving Chesterfield and surrounding areas. This enormous task began after his retirement. Linkous is deeply dedicated to his family, and still finds time to volunteer services related to providing food to families in need. 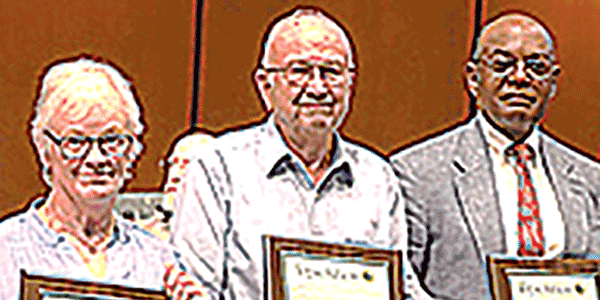 He has volunteered 11,300 hours since age of 60, and has been a resident of Chesterfield for 53 years. Pratt has volunteer hours in several organizations. His focus at Project Homes is being a team leader and a team member for their Renew Crew, which is primarily involved with building and installing ramps for anyone who is mobility challenged. He volunteers two days per week as a store associate in the FeedMore retail store. He is a member of the Richmond West Breakfast Lions club, and has been closely involved in several Lions Club initiatives, including implementing a two-year project in Monroe Park for the homeless. His involvement with the American Red Cross is extensive. He has been a member of the Disaster Action Team, with intense involvement as a disaster services specialist and as a chief of mass care for the Virginia Capital Region. Pratt was also an avid volunteer for the National Veterans Wheelchair Games in partnership with the Department of Veterans Affairs and Paralyzed Veterans of America. He has volunteered 11,248 hours since age 60. He has been a resident of Chesterfield County for 20 years. The honorees were among 15 people nominated for the 36th annual award. Other nominees were: Pat Cadle, Darlene Chinn, Nan Clark, Andrew Gregory, Marshall Henry, Ronald Jaeckle, Michael Parker, Barbara Schrubbe, Barbara Stephens, David Van Aken, Ruth Woods and Steve Worley.